Kirkus Award Finalist Schneider Family Book Award Winner Coretta Scott King Author Honor Book When two brothers decide to prove how brave they are, everything backfires&#8212;literally&#8212;in this piercing middle grade novel by the winner of the Coretta Scott King &#8211; Johnson Steptoe Award.Genie&apos;s summer is full of surprises. The first is that he and his big brother, Ernie, are leaving Brooklyn for the very first time to spend the summer with their grandparents all the way in Virginia&#8212;in the COUNTRY! The second surprise comes when Genie figures out that their grandfather is blind. Thunderstruck and&#8212;being a curious kid&#8212;Genie peppers Grandpop with questions about how he covers it so well (besides wearing way cool Ray-Bans). How does he match his clothes? Know where to walk? Cook with a gas stove? Pour a glass of sweet tea without spilling it? Genie thinks Grandpop must be the bravest guy he&apos;s ever known, but he starts to notice that his grandfather never leaves the house&#8212;as in NEVER. And when he finds the secret room that Grandpop is always disappearing into&#8212;a room so full of songbirds and plants that it&apos;s almost as if it&apos;s been pulled inside-out&#8212;he begins to wonder if his grandfather is really so brave after all. Then Ernie lets him down in the bravery department. It&apos;s his fourteenth birthday, and, Grandpop says to become a man, you have to learn how to shoot a gun. Genie thinks that is AWESOME until he realizes Ernie has no interest in learning how to shoot. None. Nada. Dumbfounded by Ernie&apos;s reluctance, Genie is left to wonder&#8212;is bravery and becoming a man only about proving something, or is it just as important to own up to what you won&apos;t do? The author reflects on her childhood in the 1950s and her development as an artist and young woman through fifty poems that consider such influences as the Civil Rights Movement, the "Red Scare" era, and the feminist movement. "Eleven-year-old Brooklyn girl Delphine feels overwhelmed with worries and responsibilities. She&apos;s just started sixth grade and is self-conscious about being the tallest girl in the class, and nervous about her first school dance. She&apos;s supposed to be watching her sisters, but Fern and Vonetta are hard to control. Her uncle Darnell is home from Vietnam and seems different. And her pa has a girlfriend. At least Delphine can write to her mother in Oakland, California, for advice. But why does her mother tell her to &apos;be eleven&apos; when Delphine is now twelve?" -- from publisher&apos;s web site. Gabby daydreams to tune out her parents&apos; arguments, but when her parents divorce and she begins a new school, daydreaming gets her into trouble. Her mother scolds her for it, her teacher keeps telling her to pay attention, and the other kids tease her...until she finds a friend who also daydreams and her teacher decides to work a daydreaming-writing session into every school day. With a notebook "thick with daydreams," Gabby grows more confident about herself and her future. This verse novel poignantly celebrates the power of writing and the inspiration a good teacher can deliver. 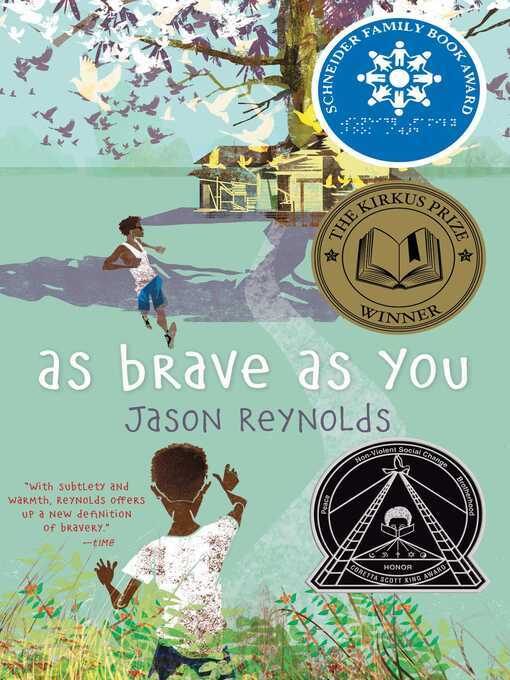 In eighteenth-century West Africa, a boy raised by his blacksmith father and the Mother Elements--Wind, Fire, Water, and Earth--is captured and taken to America as a slave. In 1859, eleven-year-old Elijah Freeman, the first free-born child in Buxton, Canada, which is a haven for slaves fleeing the American south, uses his wits and skills to try to bring to justice the lying preacher who has stolen money that was to be used to buy a family&apos;s freedom. Fortune was a slave who lived in Waterbury, Conn., in the late 1700s. He was married and the father of 4 children. When Fortune died in 1798, his master, Dr. Porter, preserved his skeleton to further the study of anatomy. Now the skeleton is in the Mattatuck Museum where it is still being studied. There is a skeleton on display in the Mattatuck Museum in Waterbury, Connecticut. It has been in the town for over 200 years. Over time, the bones became the subject of stories and speculation in Waterbury. In 1996 a group of community-based volunteers, working in collaboration with the museum staff, discovered that the bones were those of a slave named Fortune who had been owned by a local doctor. After Fortune&apos;s death, the doctor dissected the body, rendered the bones, and assembled the skeleton. A great deal is still not known about Fortune, but it is known that he was baptized, was married, and had four children. He died at about the age of 60, sometime after 1797.